Another daily deal from TigerDirect. This is the Sale USB Charging Station & Surge Protector on sale for $12.99 with free shipping. Great for tablets, smartphones, e-readers and more. The 2 fold-out arms hold your phone while charging. 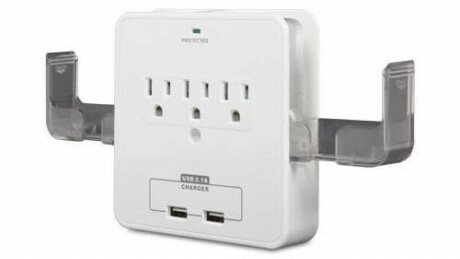 This surge protector fits over a standard double AC outlet but gives back 3 outlets plus USB charging in return.